A useful piece of kit to help slow your drift in windy conditions. Less paddling, more fishing! The Hobie Drift Chute / Drogue is a useful item that will slow your drift in windy condition. Once deployed, ideally through an anchor trolley off the bow of the kayak, the drift chute will open up and act as an anchor in midwater. When used with an anchor trolley you can fine tune the angle at which you drift. The drift chute has a weighted bottom section and floating top section so that it sits with the mouth of the chute wide open in the tide, usually sitting just beneath the surface. The chute acts as a brake and will slow the kayak down. The chute will then drift the kayak at the same speed as the tide, which is usally much less than the wind speed. This allows you to prolong your fishing time and reduce your paddling time! It also allows for baits to be presented much better whilst drift fishing. It can also be used if you get caught out in a squall, slowing you down and reducing the distance you travel with the unfavourable wind conditions. We offer a delivery service for the Hobie Drift Chute / Drogue throughout the UK & Ireland to home and work addresses. Buy a Hobie Drift Chute / Drogue online from our website and collect from our shop in St Columb Road near Fraddon in Cornwall or you can collect from any branch within the Canoe Shops Group. There is no cost associated with instore collection*. 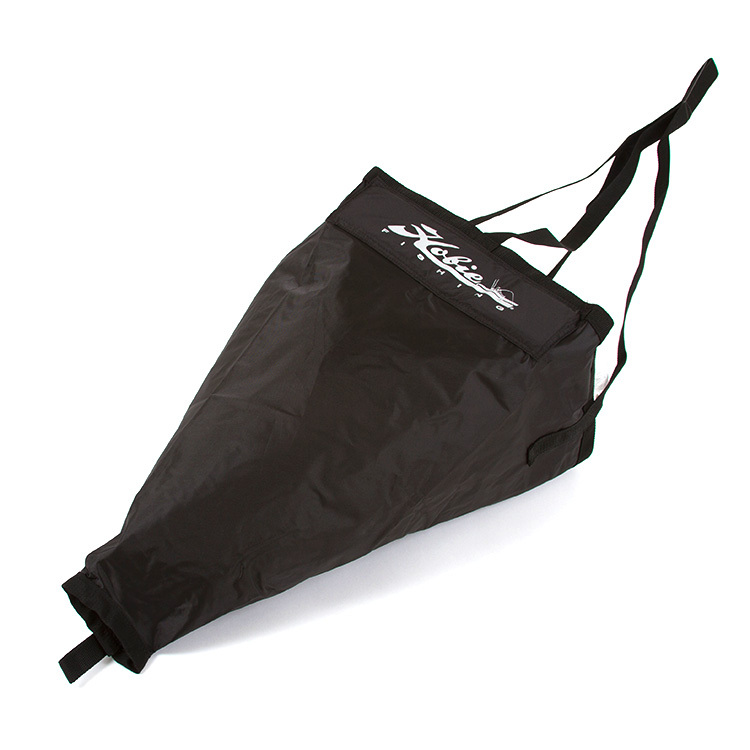 Give us a call on 01726 862798 if you have any questions about the Hobie Drift Chute / Drogue.